We seem to be living in a time of laziness and short attention spans, and it’s getting worse. People want flashy entertainment in movies, but how often do people read books nowadays? For that matter, writers of weblogs are being advised to keep it short. If someone writes a detailed comment about a post or article, they may get a tl;dr (Too long; didn’t read) reply. It was originally used in response to unnecessarily long, tedious comments, but now it’s thrown around with reckless abandon — even on good comments. I reckon one problem in today’s society is that people are tightly scheduled, even down to the minute. We don't want to take the time to read and learn. Another problem that adds to shorter attention spans is social media. (At The Question Evolution Project, we can post a link to a brilliant article, and five people click “Like”. Post a picture with a funny caption (often called a meme), and “Likes” can be in double or triple digits.) People like the funny pictures that do not take up much of their time. Twitter is a great place to have a serious intellectual argument. I'm being facetious. Some people think the ideal length of a Tweet is 100 characters. Although they expanded their maximum character limit, less is considered better. Conversations on there get confusing, especially when almost anyone can jump in. Some people seem to expect deep stuff on Twitter, but it's not going to happen. Post a link to something outstanding, you may or may not get people clicking on it. It seems like reading and thinking are hard work, and social media are not helping. If you do have the time and attention, do a search of Bible verses that tell us to spend time in the Word, get good teaching, grow in the grace and knowledge of Jesus, and so on. The Christian life is an ongoing process and a lifelong commitment. Some people do not spend time reading their Bibles, in prayer, in fellowship, or getting good teaching — then they wonder why their spiritual lives are lackluster. The Christian life takes commitment. Likewise, we can find a corral-full of Christians who claim to believe the biblical account of creation and want to refute evolution. Unfortunately, they do not exhibit knowledge of creation. When challenged by anti-creationists who have studied up on stock objections, these Christians are intimidated and the unbeliever claims to have won an "argument" or "refuted" the creationist. Captioned pictures are good in their own way, but not by themselves. I occasionally use them as illustrations in posts and articles but do not expect one to carry a deeper message all by its lonesome. If you study on it, people cannot learn much from just a picture. Did that subtitle give you a little bit of anxiety like it did to me? Even so, the point is valid because learning never stops. 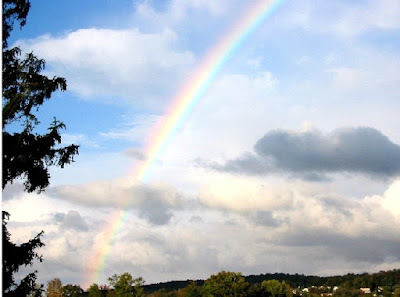 It is good to share posts and pictures, but if we are serious about communicating the messages of biblical creation science and biblical authority, we should have a good working knowledge of the subjects. Don't misunderstand, I'm not saying we have to own advanced degrees on everything we discuss. Those who wish to attack us often expert the average Joe or Jane to be an expert on every subject, but that is a distraction. Related to this is being able to know where to look. Search engines can be your friends, as are the search functions on major biblical creation science sites. Another aspect of doing the homework is to keep up with the sites: keep reading (despite the short attention span prevalent in the culture), watching videos, listening to presentations, and so on. I'll allow that looking at a computer screen can be tiring, but many browsers have "reader" functions, and I use free add-ons to send articles to my ebook reader (like this one, and another one that lets you save in different formats). Although I run a creation science ministry, there is no money coming in so I have a day job. Fortunately, I am able to convert videos to audio, and use the text-to-speech function so I can listen to books and articles at the workplace. (Yes, the robotic voice can be tedious, but you get used to it.) These things may give you some ideas, such as listening to material on your commute and so on. We must also learn how to use our cognitive skills. God gave us minds and expects us to use them. Learn the basic logical fallacies for two reasons. First, so you can spot them when an anti-creationist is reacting to something you said or wrote (here are some lessons on those). Second, so we can do our best to glorify God with good reasoning. This sounds more difficult than it really is, but if you put some work into it, the rewards are eternal. Although this article is a bit lengthy and you might want to get comfy, I recommend reading "Loving God with all your mind: logic and creation". Most importantly, don't be like a passel of other professing Christians and have no real knowledge of what and why you believe. Our theology drives our apologetics. 2 Peter 3:18 tells us to grow in the grace and knowledge of the Lord. While it is good to become skilled with the basics of biblical creation science (many articles have sound theology and discuss biblical authority), we cannot have tunnel vision and let everything else go. Our faith is based on the Word of God, not on the ever-changing whims of human science philosophies. Many "facts" of science change, sometimes within hours. There is also a great deal of bad research and even fraud in the secular science industry. If our faith is based on those ideas, we're in a world of hurt. Evidence is important, but should be presented in the correct framework. The unbeliever should not be elevated to the magisterial position of putting God on trial. Do not be ashamed of the gospel. While some people think it is fun to ridicule Christians and especially biblical creationists, there is no reason to be ashamed of being a creationist or of the gospel. Keep them on the subject. Many times, we can be asked to provide evidence for something. When we do this, they often jump to some other subject. This is often an indication that they do not wish to learn, but are intent on justifying their own fundamentally flawed worldviews. Related to the above point, do not let them put you on the defensive. This is a manipulative tactic. Irrelevant attacks on God, people, misrepresenting the subject, and so on also show that they do not wish to learn. There comes a time to "shake the dust off your feet" and move on. Use your discernment. Admit if you do not know the answer. Don't bluff. Sure, you can speculate as long as you make it clear that you are offering an opinion. When possible, use those search functions and find answers. Some people will claim victory with the logic of, "I asked the creationist a question. I did not get an answer. Creation science if false. Evolution is true. There is no Creator God!" Their egos are not our problem. We just have to do our part to the best of our ability. This may mean admitting ignorance. Be gracious to honest enquirers, and don't let your pride be a problem. While a blasphemous attack may require a strong response, some folks are mighty tactless but actually do want answers. Jesus woudn't cuss someone out, neither should you. 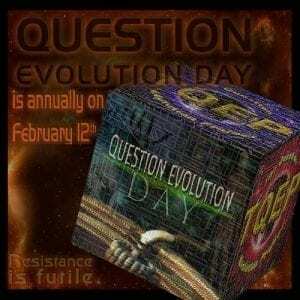 You can participate in Question Evolution Day, annually on February 12. It can be where you are using the internet and adding the #questionevolutionday hashtag. Also, you can set up an event in a home or church; there are many possibilities. Question Evolution Day is a global event. It happens annually on February 12 (Darwin's birthday). 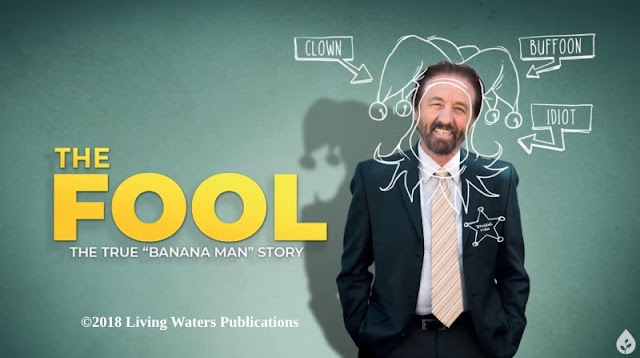 Someone may object, “But people will say mean things about me, and I might be labeled as a science denier or something if I stand up for the truth of biblical creation!” Really? Ian Juby, Ken Ham, Dr. Jonathan Sarfati, David Rives, Eric Hovind, as well as many others who range from famous to obscure all get “labeled”, stalked, ridiculed, misrepresented and more. (I have a criminal cyberstalker who hates me and biblical creation science, called God a liar, rebels against God's Word — and is "more Christian" than I am! I didn't even know I had entered a contest... That nonsense won't make me quit.) There is a picture of Jesus with the caption something along the lines of, "I never said it would be easy. But it's worth it". We have it easy in the Western world right now, but persecution is increasing; Christians in atheist and Mohammedan countries are severely persecuted and even murdered for being Christians; often even daring to own a Bible is a crime! Persecution has happened to men and women of whom the world was not worthy, and this happened from the beginning. We need to pray and put on the whole armor of God, and be ready to destroy speculations against Christ. Don’t be afraid of the pronouncements of the ungodly. It ain’t easy, old son. But we need to proclaim the truth and authority of the Bible — from the first verse. Don't be hiding your light. What are you doing to help spread the message? Modified from "How Are You Standing Up for Biblical Creation?"